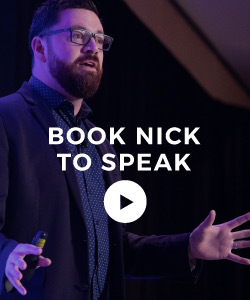 “You have to tell a story no one has ever heard or offer a simple twist on a familiar theme.” Marketing speaker and best-selling author Andrew Davis is on a mission to change the way that marketers market and publishers publish. One audience at a time. From content brands to branded content and everything in between, I couldn’t wait to chat with Drew. Andrew Davis’ 20-year career has taken him from local television to The Today Show. He’s worked for The Muppets in New York. He’s marketed for tiny start-ups and Fortune 500 brands. His latest book, Brandscaping: Unleashing the Power of Partnerships , is one of Amazon.com’s Top 100 Marketing Books. 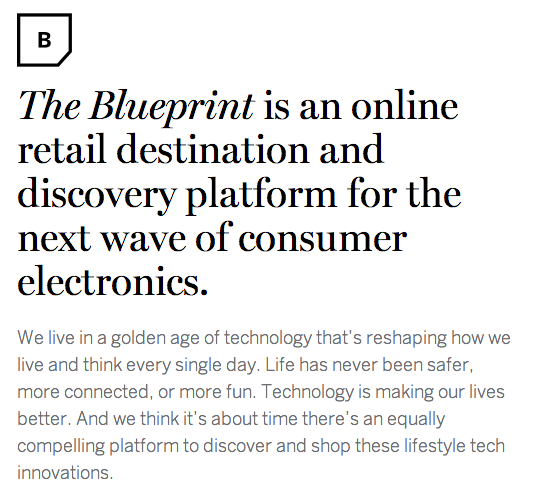 In 2001, Andrew co-founded Tippingpoint Labs, where, as the chief strategy officer, Andrew and his team helped companies like Putnam Investments, Breville, and TomTom. They built digital strategies for publishers like Rodale and Meredith. For more than a decade, Drew has led the charge to change the way publishers think and how brands market their products in a digital world. Speaking of partnerships … “You have to think about them strategically. Ask yourself who has your next customer as their current customer? How can you create content for them?” Most of us get sloppy when it comes to establishing a partnership strategy. We also discussed his forthcoming book, Town, Inc., which will examine why some towns prosper while others fail. Many times it relates to the branding, stories, and successes from the areas businesses and industry. Origin stories can be a powerful part of your brand DNA, including your sense of place. To learn more about Andrew Davis and his work, follow him on Twitter and visit YouveBeenDrewed.com (where he has free inspirational videos for you!) and AKADrewDavis.com. A big thanks to a mentor of this podcast with a new resource that you should know more about. Jay Baer of Convince and Convert has done it again. In addition to being a digital marketing thought leader, speaker, and best-selling author he’s now created a new online resource indexing all of the great marketing podcasts out there — it’s called Marketing Podcasts and you can find it at MarketingPodcasts.com. 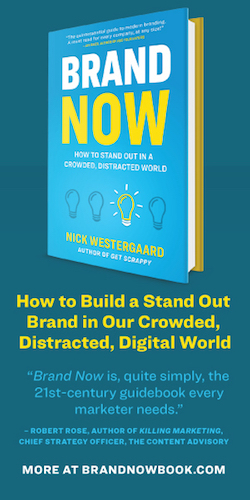 If you like marketing and podcasts you need to check this out. 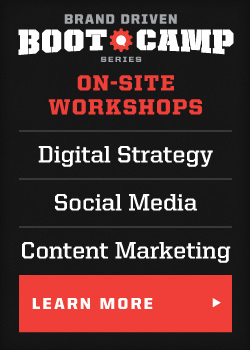 And don’t forget that this podcast is brought to you by our Brand Driven Digital events series, learn more about Twitter Brand Basics, Digital Strategy Boot Camp, and the industry leading Social Brand Forum now. This entry was posted in Podcast and tagged andrew davis, branded content, brandscaping, cbs sunday morning, charles kuralt, content brand, drew davis, the muppets. Bookmark the permalink. @KerryGorgone Thank YOU, @kerrygorgone! The Marketing Smarts podcasts is one of my favorites. 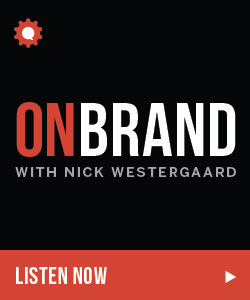 @marcusnelson @TPLDrew Thank you both for tweeting #OnBrand. 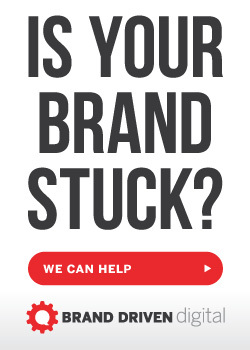 I love the idea of content brands vs. branded content. Cheers! @TPLDrew @NickWestergaard absolutely agree! It is the pinnacle of storytelling. 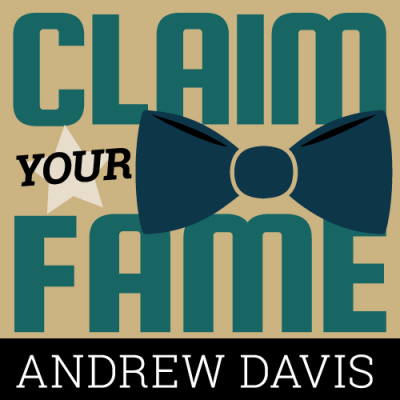 BTW - loved 1st Claim Your Fame podcast- congrats!